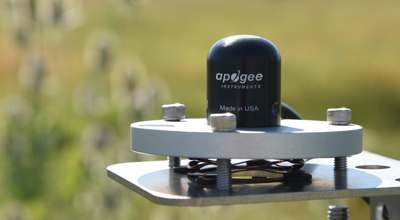 Apogee Instruments' original quantum sensors provide accurate and cost-effective measurement of photosynthetically active radiation (PAR) from all broadband light sources used to grow plants and corals, (e.g. sunlight, metal halide, CFL). For narrow-band light sources like LEDs, we recommend our full spectrum quantum sensors. 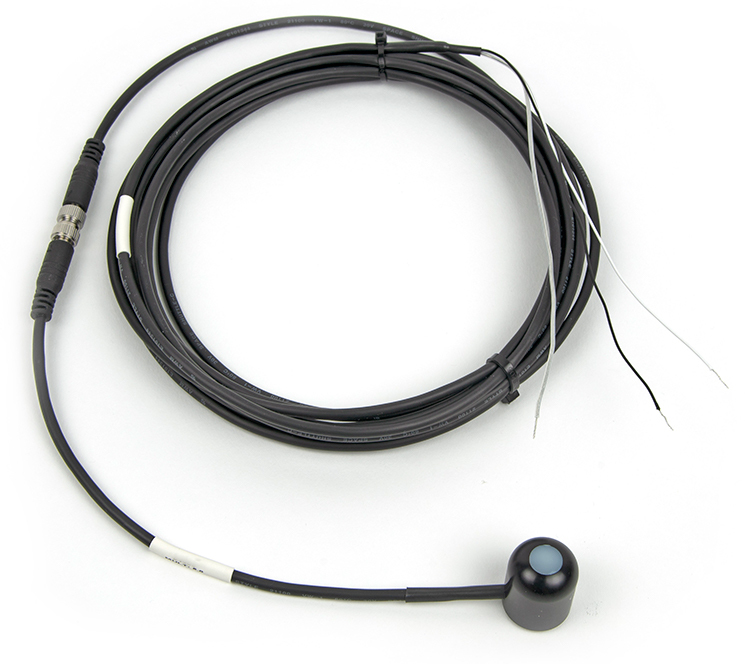 The Original Quantum Sensor has a spectral range of 410 to 655 nm. The spectral response can be seen in the graph to the right. Line quantum sensors (multiple detectors mounted along the length of a rugged anodized aluminum bar) provide spatially averaged PPFD measurements along the length of the bar. All sensors in the line are electrically connected, resulting in a single voltage output that is directly proportional to average PPFD. Multiple analog output options are available. Additionally, a digital "smart" sensor that uses USB communication and custom software to interface directly to a computer is available. Sensors are also available attached to a hand-held meter with digital readout. To ensure accuracy each sensor is carefully calibrated in controlled conditions and traceable to NIST reference standards. The Original sensors are pre-calibrated for either sunlight or electric light sources.